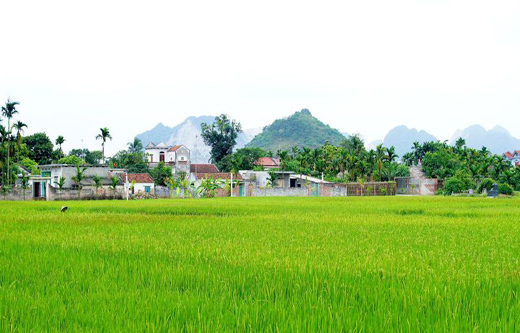 Yen Duc village is located in Dong Trieu district, Quang Ninh, about 60km from Ha Long City. Yen Duc is a typical Vietnamese agriculture village which is rich in traditions and culture as well as beautiful landscapes. Beside Halong bay cruise tour, Yen Duc Village Tour is a journey to trace back the Vietnamese countryside space with typical traditional culture. This is also a great opportunity for tourists to visit beautiful fields, ancient pagodas and other historical sites, wander in small alleys, enjoy fresh air and talking with friendly local people. Along with the natural beauty, unique culture combined with favorable geography on the way from Ha Long – Hanoi, Yen Duc village is potential tourist destination that will bring unforgettable experience for visitors.